The Midwest is surprisingly full of destinations for religious travelers. Historic churches, shrines and even a biblical wax museum help add to the spiritual appeal of this region. 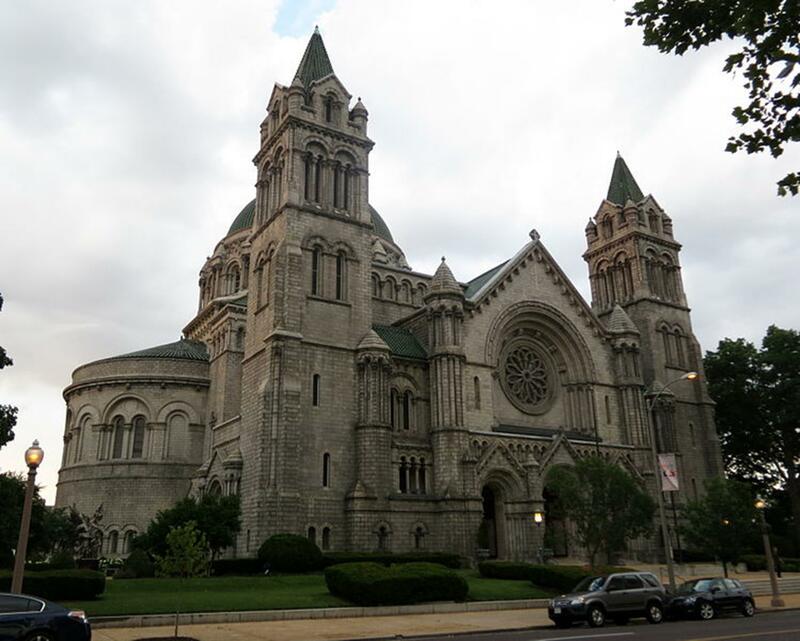 The Cathedral Basilica of St. Louis is known for its elaborate mosaics that stretch over 83,000 square feet and depict scenes from the Old and New Testament as well as the life of St. Louis, the church’s namesake. The interior contains roughly 41.5 million pieces of glass. The stainless steel sculpture “Angel of Harmony” is located outside. 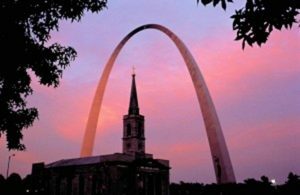 There is also the “Old Cathedral,” formally known as the Basilica of St. Louis, the first cathedral founded west of the Mississippi River. Not as large or ornate as its newer cousin, the riverfront landmark is more historically significant and a beloved part of the city. A museum holds artifacts from the church’s long history. The Museum of Contemporary Religious Art at St. Louis University presents the different approaches modern artists use to express their faith in a variety of mediums. The museum also aims to be a forum for promoting interfaith understanding, and frequently offers tours, lectures and other programs open to the public. Of course, no visit to the city is complete without a visit to the iconic Gateway Arch. Located on the exact spot of the city’s founding, the Arch is meant to memorialize the city’s role as the starting point for pioneers heading west. Visitors can take a tram ride up to the top of the structure. Also not an option to miss is the quirky City Museum, a three-story playground with giant slides, airplanes you can climb into, an elaborate cave system and the world’s largest pencil. Nominally for children, it’s entirely possible it is the adults in your group who really won’t want to leave. As befits the Twin Cities, even the main cathedrals are twins. 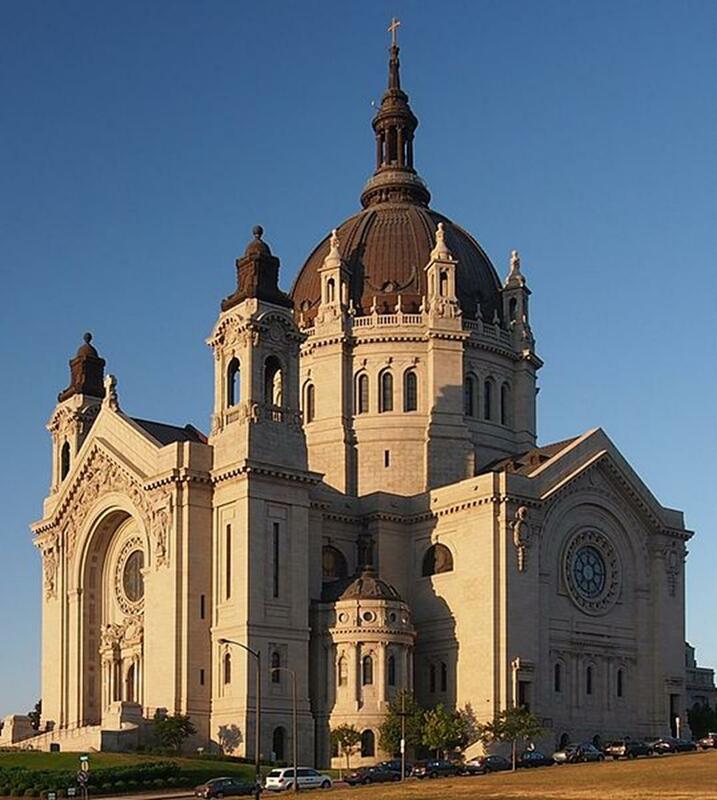 Minneapolis has the Basilica of St. Mary, the first basilica constructed in the United States and an excellent example of Beaux-Arts architecture. St. Paul, not to be outdone, has the Cathedral of St. Paul, the National Shrine of the Apostle Paul, with its distinctive copper-domed roof. Both serve as co-cathedrals for the archdiocese. Another church with stunning architecture in Minneapolis is Hennepin Avenue United Methodist Church, built in English Gothic style on the model of Ely Cathedral in England. 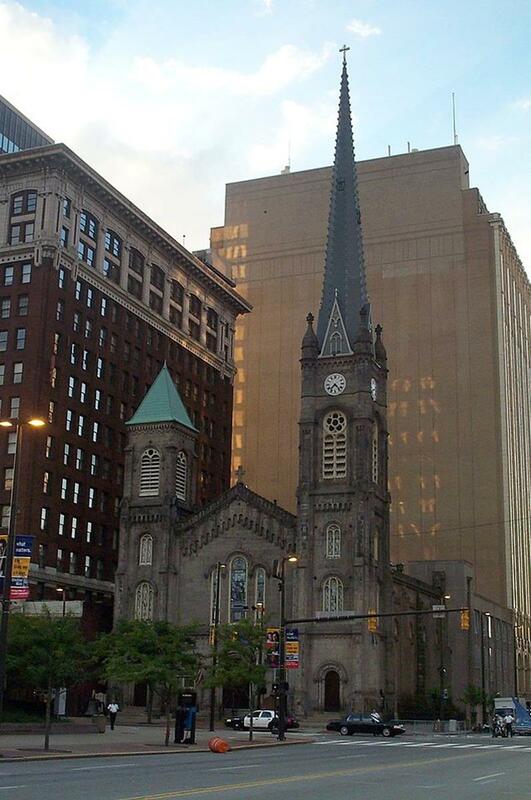 The church takes up an entire block and its spire reaches to a height of 238 feet. 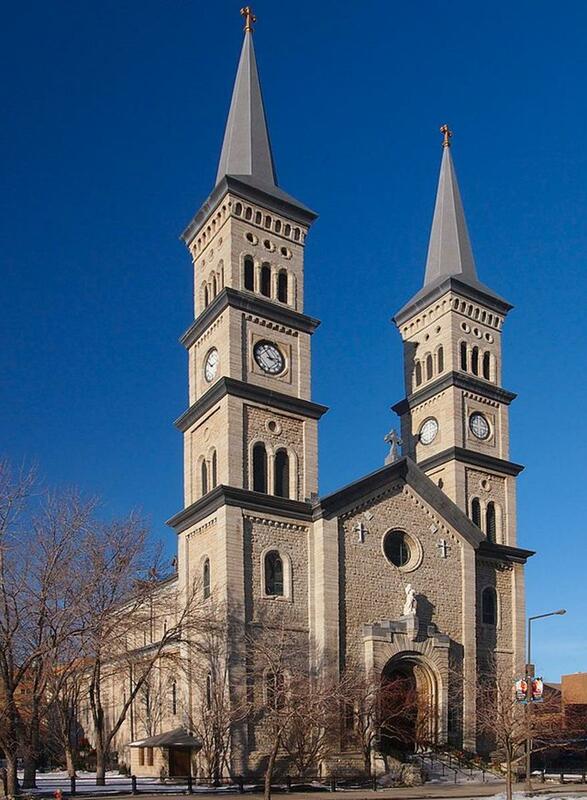 A particularly historic church in St. Paul is the Church of the Assumption, the oldest church in Minnesota and an entry on the National Register of Historic Places. 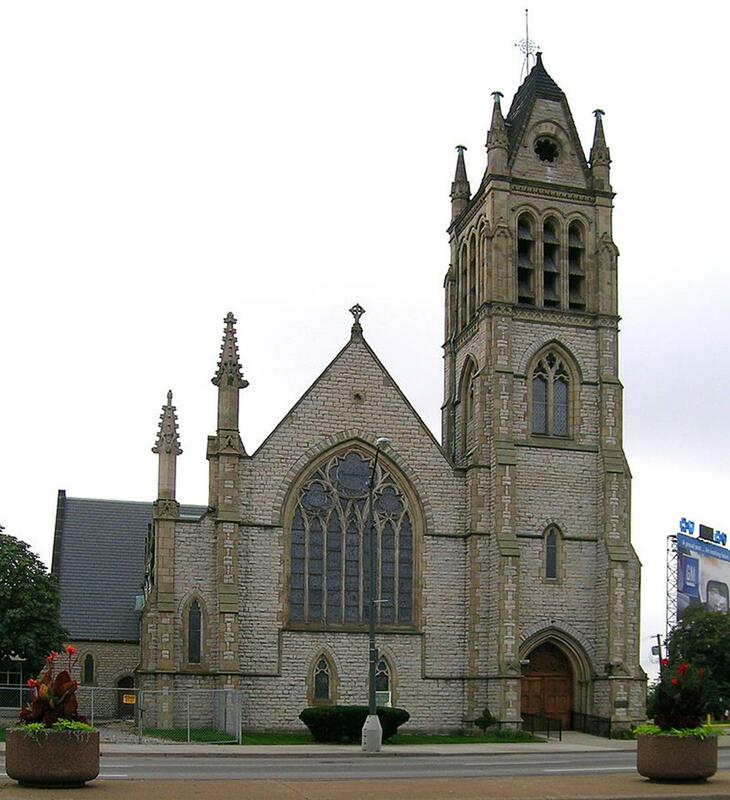 Originally built by German immigrants, the style is modeled after the famous Ludwigkirche in Munich. A mix of the spiritual and the secular can be found in the Minneapolis Institute of Arts. The collection holds both powerful religious pieces such as El Greco’s Christ Driving the Money Changers from the Temple and a wide variety of contemporary and multicultural holdings as well. Admission is free except for some special exhibitions. While you’re in the Twin Cities, visit the most famous shopping mall in the world at Mall of America in Bloomington. This gigantic mall features stores, restaurants, flight simulators, a mirror maze, an indoor amusement park, a hotel, and an aquarium with sharks and stingrays. The second oldest continuously functioning Roman Catholic parish in the United States can be found at Ste. Anne de Detroit. 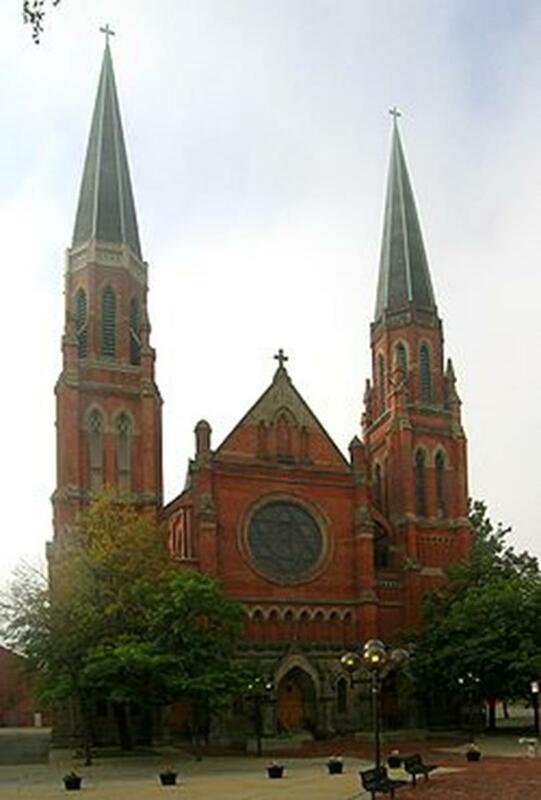 The current church, built in 1886, is in Gothic Revival style and has the flying buttresses typical of European cathedrals but rare in the United States. It also boasts the oldest stained glass in the city and a 26-rank pipe organ. The oldest Protestant church, in turn, is Christ Church, an Episcopal church that is on the National Register of Historic Places. The building, designed in a unique “American Gothic” style that makes use of sandstone and limestone, is well known for its windows, including two done by Tiffany. The Great West Window, which depicts the life of Christ, is the most noteworthy. An intriguing religious site is the Mariners’ Church, founded in 1842 for maritime travelers of the Great Lakes and immortalized in Gordon Lightfoot’s 1976 song The Wreck of the Edmund Fitzgerald. When it was faced with demolition in the 1950s Detroit residents raised enough money not only to move the entire church several hundred feet, but also to add stained glass windows and a bell tower. It also turned out that there was a secret tunnel, dating to the time when the church was a stop on the Underground Railroad. A site popular with pilgrims is the Solanus Casey Center, built in honor of a Capuchin priest who was the first man in the United States to be declared “Venerable” by the Catholic Church. The center welcomes visitors of any denomination to be inspired by the example of Father Casey or to see his tomb. Venturing outside the city a bit, your group can visit The Henry Ford, a museum in Dearborn named after its founder and dedicated to American history. Items in the collection include the bus Rosa Parks refused to sit in the back of, John F. Kennedy’s presidential limousine and the first airplane to fly over the North Pole. There is also an outdoor component to the museum, with important rooms from American history, such as the courthouse Abraham Lincoln worked in as a lawyer and the Wright Brothers’ bicycle shop. The congregation at Old Stone Church dates back to the days when Cleveland was still a village with a population of fewer than 200 people. The building itself is a little more recent, dating back to 1855. A masterpiece of Romanesque Revival, the downtown structure has remained mostly unchanged since then, although new windows and an organ were added later. There was also a major cleaning effort completed in 1998 to remove decades of industrial soot that accumulated on the stone exterior. St. Paul’s Croatian Church is a beautiful symbol of the city’s immigrant history. Constructed in 1904 to serve the city’s Croatian immigrants, St. Paul’s remains a center of Croatian cultural activity. Similarly, St. Theodosius Orthodox Cathedral has served as the spiritual heart of the Russian immigrant community as well as serving as one of the finest examples of Russian church architecture in the United States. 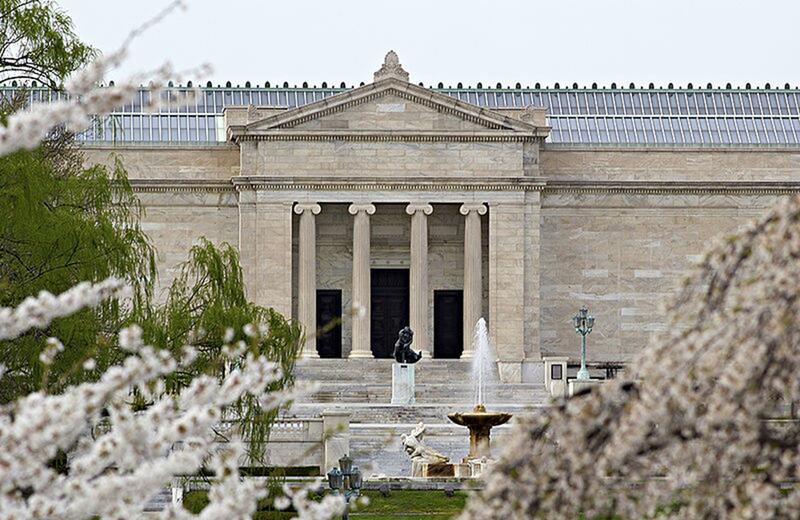 The Cleveland Museum of Art has excellent holdings in a wide range of styles, including a variety of religious ones. Examples of paintings in the collection include Caravaggio’s Crucifixion of St. Andrew and Poussin’s Holy Family on the Steps. An inspiring side trip from Cleveland might be a visit to America’s largest concentration of Amish, located in the six counties of Amish Country. Enjoy the tranquil and simple lifestyle, laugh at wholesome family comedies at the Amish Country Theater and walk through more than 70 scenes from the Bible at the Biblewalk Wax Museum. 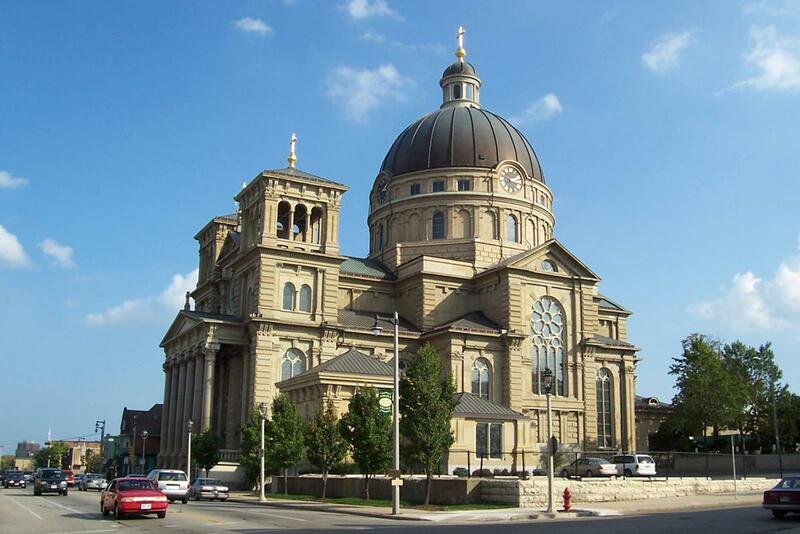 The best-known religious site in Milwaukee is the Basilica of St. Josaphat, modeled after St. Peter’s in Rome. The traditional center of the city’s Polish Catholics, it has one of the world’s largest copper domes and beautiful murals inside, including one depicting the martyrdom of the parish’s namesake saint. 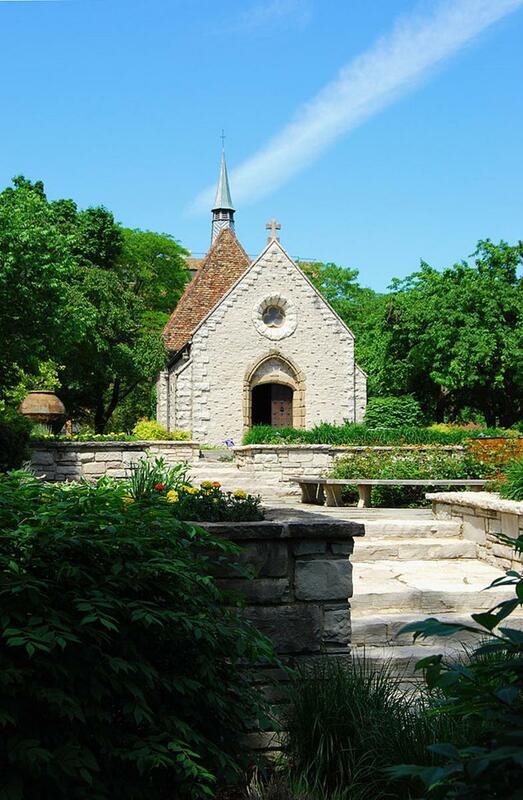 On the campus of Marquette University, there is an interesting little building known as St. Joan of Arc Chapel. Built in the 15th century in France, it fell into neglect after the French Revolution until the whole chapel was moved to New York in 1927 to be put on a private estate. When the owner of that estate died, the chapel was deeded to the university and moved again to its current location. It is reputed to have the stone St. Joan herself used to pray to Mary. A little outside the city is Holy Hill Shrine of Mary, Help of Christians, a church run by Carmelite monks on the spot where the Jesuit priest Father Marquette first raised an altar at some point in the 1670s. In 2006, the shrine was officially declared a basilica and is visited by about 300,000 people annually. 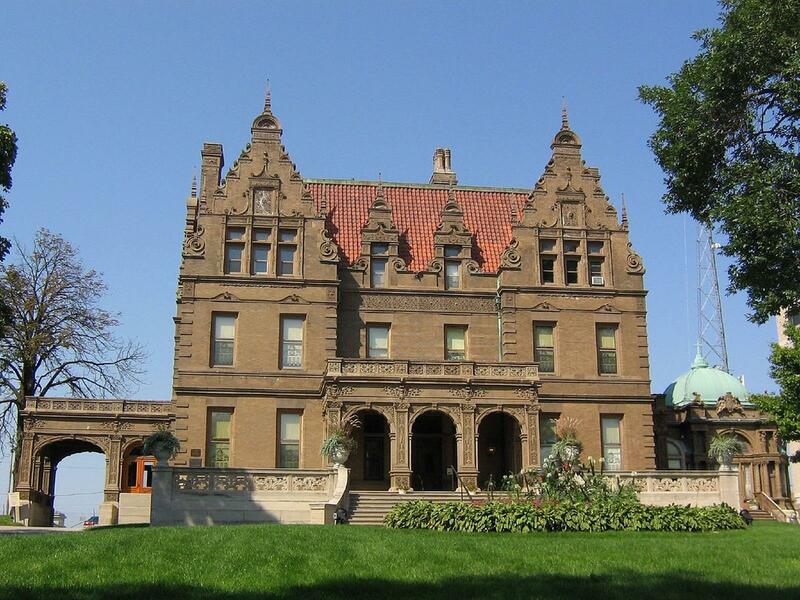 Check out the beautiful restored Pabst Mansion. Once the home of brewing magnate Fredrick Pabst, the property then was passed to the archdiocese of Milwaukee for many years, who in turn sold it so that it could be open to the public in 1975. Now visitors can come and see the beautiful woodwork, furnishing and décor that made this building the height of Gilded Age splendor. The Greater Phoenix area, encompassing cites like Mesa, Scottsdale, Glendale and Tempe, includes around 20 communities that are growing fast. Phoenix will welcome many upcoming religious conventions of all faiths, like the Southern Baptist Convention, Unitarian Universalist Convention and the Mennonite USA Convention, bringing groups together to an ideal location to celebrate and share a common faith. A variety of churches, temples, shrines and museums await religious groups touring America’s urban centers. Following is just a sampling of the top tour sites across the U.S. offering an array of fascinating experiences. Québec: Where the National Shrines Past Comes Alive!